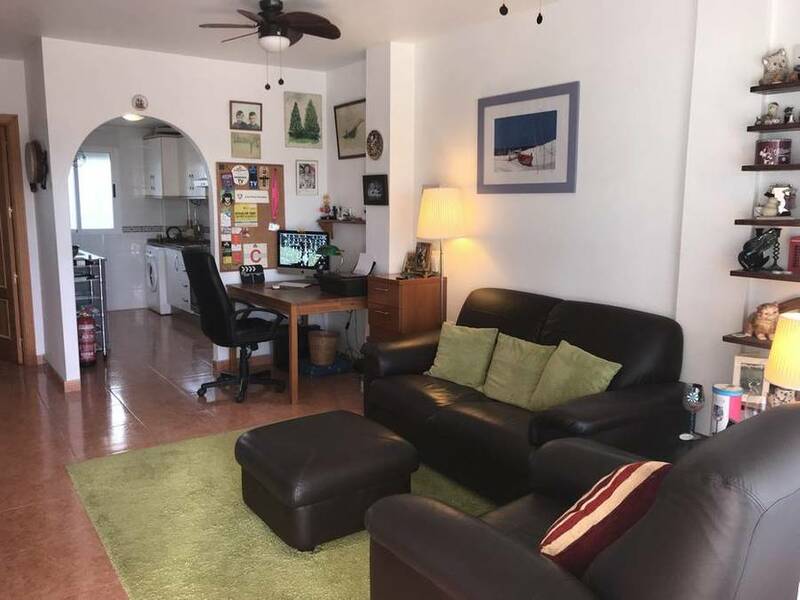 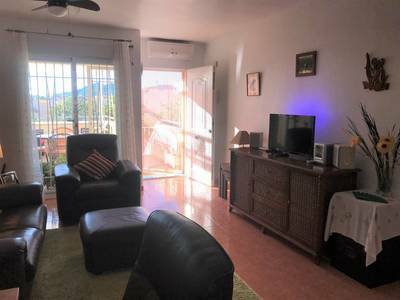 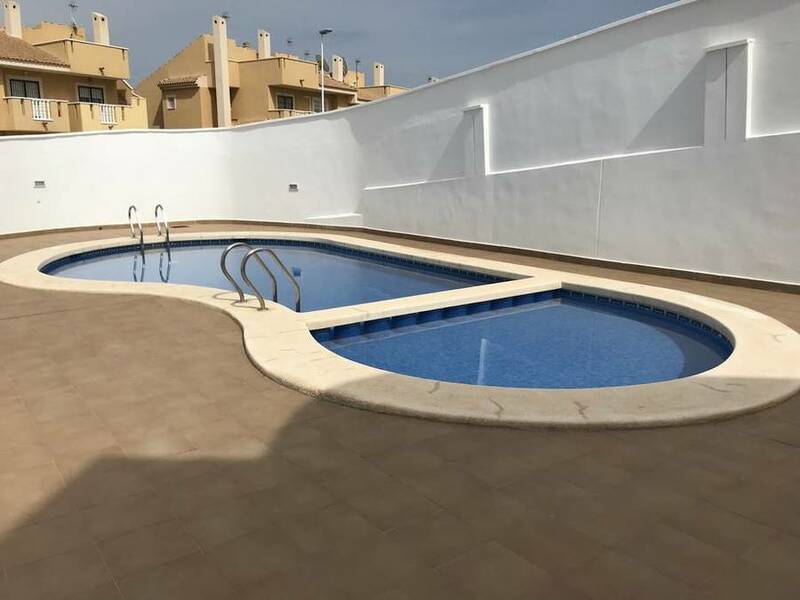 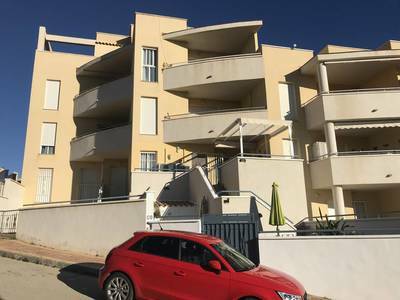 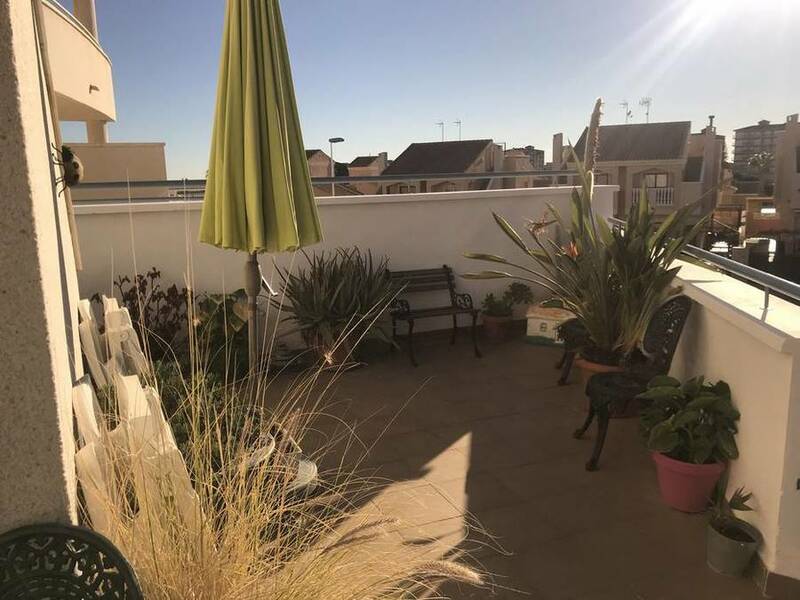 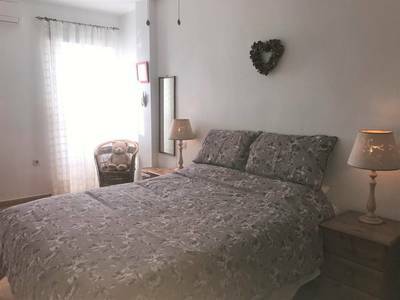 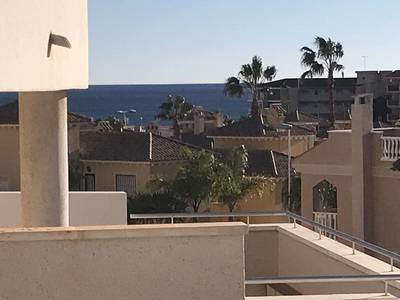 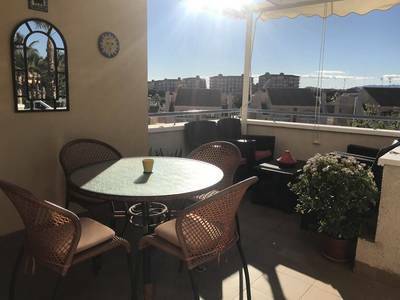 This spacious bright 2 bedroom, 1 bathroom apartment in the sought after El Alcolar area of the Puerto de Mazarron with a communal swimming pool comes fully furnished with white goods and is just a short walk from the beaches and promenade. Through the gate you find the lower garden which is fully tiled and there are 2 lockable store rooms. 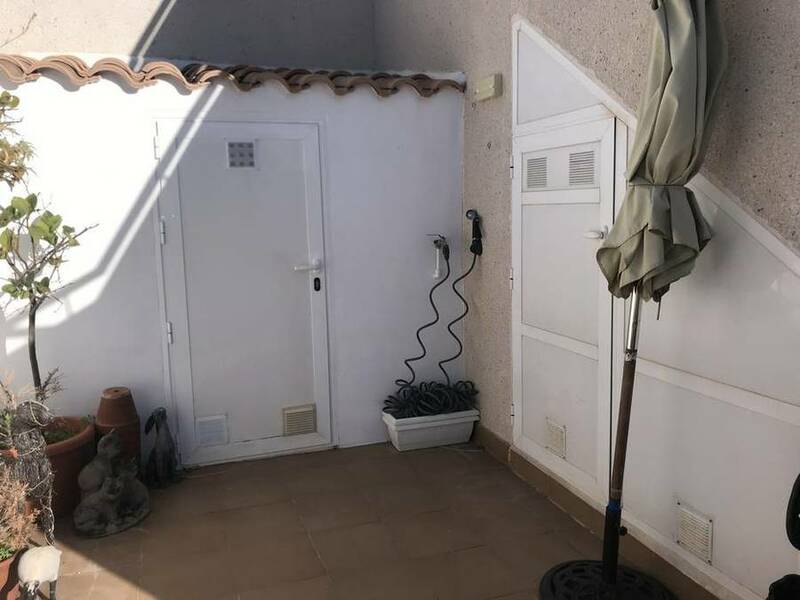 You can also see the sea from here. 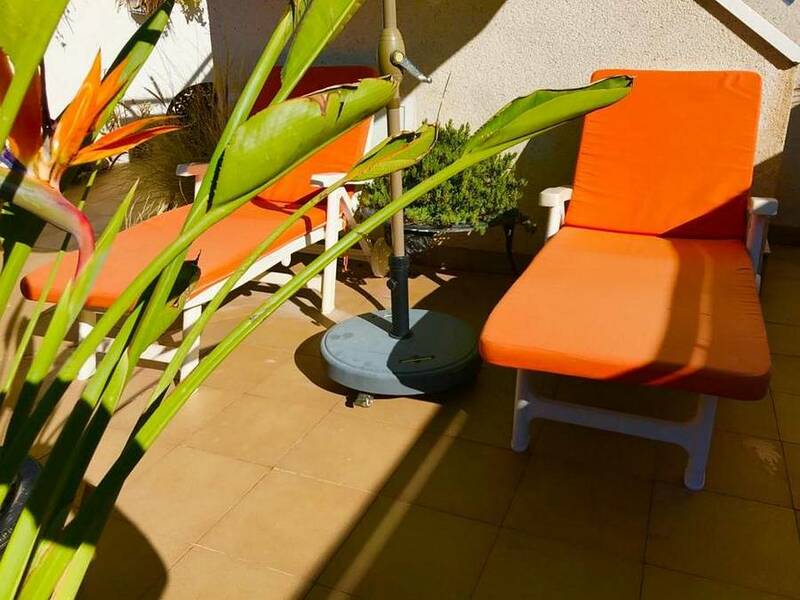 Steps take you up to the terrace which is a lovely place to relax and awnings provide shade and privacy when needed. The front door opens into the bright lounge with 2 ceiling fans, A/C and sliding patio doors that lead back out to the terrace overlooking a park with lovely views to the mountains and the sunset. 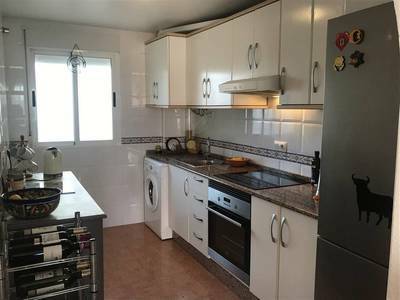 An open arch leads to the kitchen which comes complete with all the white goods and has upper and lower white units and granite work tops. The main bedroom has a double bed, ceiling fan, A/C, fitted wardrobes and door length window. 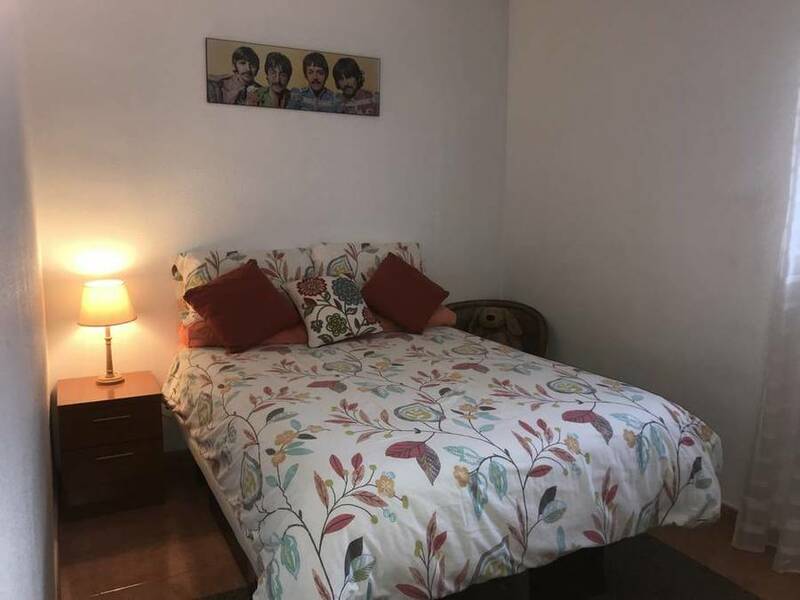 The second bedroom also has a double bed, ceiling fan and a free standing wardrobe. 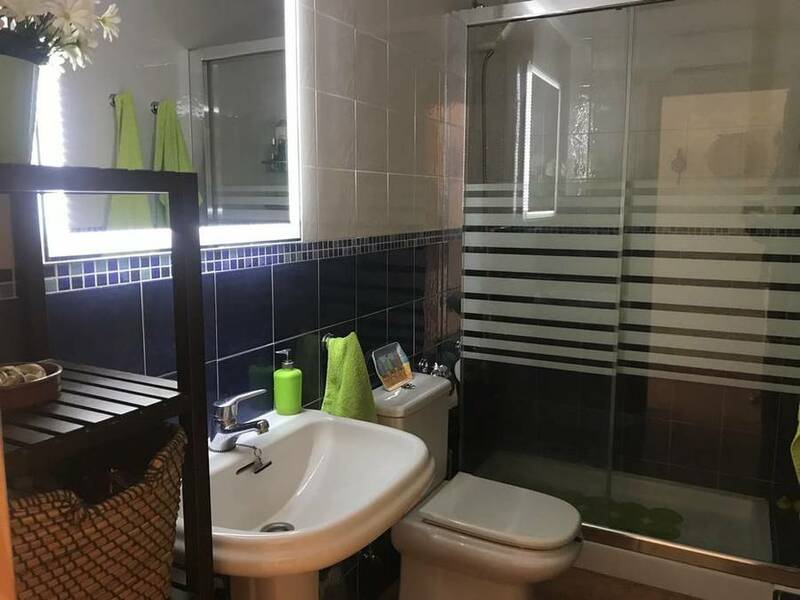 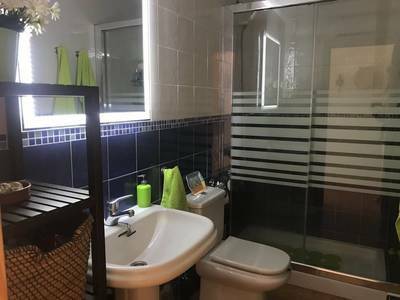 The family bathroom has a full width walk in shower, W/C, wash basin with LED mirror above, heated towel rain and a heater/cooler. The apartment has satellite TV and internet. 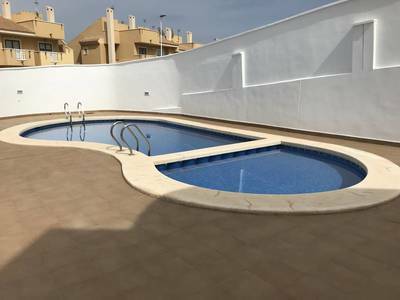 The communal pool is very private. Must be seen to fully appreciate what good value this apartment is. 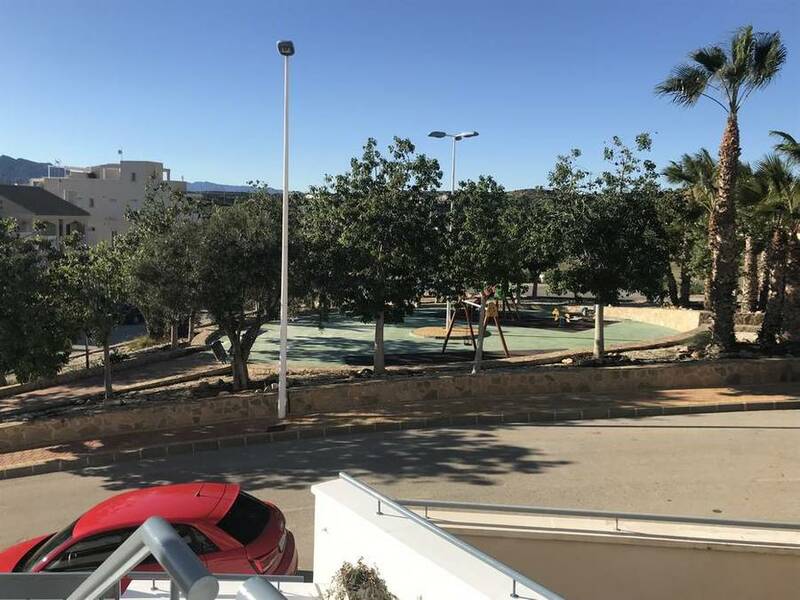 Corvera airport is 40 minutes drive and Alicante airport 1 and a half hours drive. The nearest golf course is at Camposol which is just 20 minutes away.